Head of the CMEA Clinic , Dr. Nicolas Roux has been practising for more than 15 years in Grand-Saconnex, Geneva. Dr Roux holds two FMH specialist degrees, in Allergology & Clinical Immunology as well as in Internal Medicine. 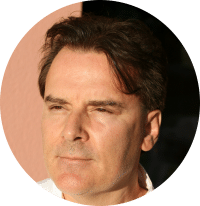 As an aesthetic physician, he is also a member of the Swiss Society of Aesthetic Medicine (SSME) and of the SOMEREFs (Research and Expertise on Suspension Threads). As an allergologist and Internal MD, he is a fellow of the Geneva Medical Doctors Association (AMG), Swiss Allergy and Immunology Society (SSAI), Geneva Allergy Association (AGAIA), Swiss Internal Medicine Society (SSMI), and the European Academy of Allergy and Clinical Immunology (EAACI). The opening of his aesthetic medicin clinic of in Geneva resulted from increasing demands from patients . Dr Roux's practice is based on solid medical training , regarding Anti-aging injections (Hyaluronic Acid, Botox, Mesotherapy, Platelet Rich Plasma (PRP), Intense Pulsed Light and Lasers (NdYag, Fractional), Peelings, Mesotherapy, Lipolysis, Blepharoplasty, Lipo-Filling, Suspension Threads (Suspension Sutures) and a vast knowledge of cosmetics. Anyone searching for non-surgical aesthetic treatments is entitled to complete information before making an educated decision. The consultation with Dr. Nicolas Roux will provide you with as many explanations as needed, an assessment of your personal needs and appropriate treatments, a treatment schedule, a signed quote, as well as printed documents on techniques suggested. This consultation costs Sfr150, payable up front, an amount which will be considered as a credit for two months. In other terms, these 150.-will be deducted from any aesthetic treatment worth Sfr 500 or more performed in the 60 days following the first consult.